Surrounded by myriad colours and fragrances, flowers have become a synonym for beauty, love, friendship, condolence, well wishes and more. Every day we see these gorgeous flowers slide into our Instagram feed, or pop up during Google image search, and we fall in love with them only to not find them anywhere in Bangalore! No more. Here are some alluring flowers that you never knew you could find in Bangalore. This is a survival story. We say this because, Disbud Chrysanthemum is one large flower per stem during harvest, while the rest of the flower buds on the stem are dis-bud at a very young stage of growth. Meaning, all the energy is put into the growth of one flower which is nothing less than perfection. They also have a long lifetime, and usually lasts two weeks long. Interesting fact, these are traditional Mother’s Day flowers. Order these here to surprise mum. 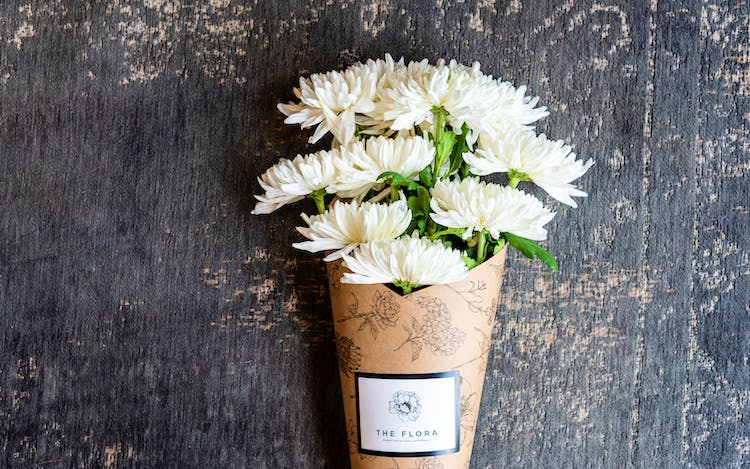 Even better get The Flora weekly subscription and get her a week of flowery surprises! This daisy-like decorative pom-pom, skilfully interlaced with every petal, is almost too perfect to be a flower. It’s no wonder it was the preferred flower (after the lily) for French painter, Claude Monet. Hydrangeas are summer flowers that are long-lived and extremely vigorous. They grow in beautiful pastel shades of pink, blue, creamy white; and interestingly everywhere from Asia to America. These flowers are great for centrepieces and wreaths. It speaks warmth and happiness, and can order them here. Having a rough day? Stay around Lisianthus for it is known to calm one’s thoughts. These rose-like beauties top the list of gorgeous cut-flowers because of the variety within the produce. They come in eclectic colours of red, deep blue, purple with white, white-wedding white! Most popularly used by decorators and designers, Lisianthus not only brightens up an event but also represent values and congeniality. Pick a Lisianthus to tell a friend feel better, cos roses are too mainstream! You can order them here. The mother of all flowers, Sunflower is as sacrificing as is beautiful. The flower’s leaf is usually used for fodder, seed for oil and flower also yield a yellow colour that is used for dye. Amazing right? Next time you cross a Sunflower field, make a note of their smile and sacrifice. Made famous with movies like DDLJ, Sunflowers are more commonly found while you’re on a road trip, but not as much when you need it to brighten up your mantle. Don’t worry! Next time you feel like you need Sunflower, go to The Flora and order fresh ones. A spring flower that is tall, elegant and colourful, tulips grow in rich, varied colours and has a silk-velvety feel to it. Known for its elegance, Tulips are commonly told to symbolise true love. Spring is the season of Tulips and with the season upon us, time to get your freshly cut Tulips delivered right to your doorstep. There are Tulips in almost every possible colour. Go pick bae’s fav colour and order them with The Flora. Now you can get a weekly or a monthly subscription and get gorgeous, freshly-cut flowers cuddled in burlaps delivered right to your doorstep. If not, gift these beauties to ones you love by signing them up for The Flora online subscription service and make it sweet and floral!